Get expert advice on how to save energy, reduce your impact and create a more comfortable, cozier home—including easy low or no-cost actions that can save money right away! Home Energy Checkups, sometimes called Home Energy Audits, are an easy way to learn how you can save energy and money and create a cozier and healthier home! Home Energy Checkups provide a custom assessment of your home to identify the best options for improving your home’s energy use and air quality. During a Home Energy Checkup, a Professional Energy Analyst examines each room of your house and provides custom energy-saving recommendations tailored to your home. They will identify which home projects can save you the most money and energy and may even do some minor repairs or upgrades for you, such as changing light bulbs to LEDs. According to the Department of Energy, implementing the energy upgrades recommended in a Home Energy Audit can save 5%-30% on your monthly energy bill. These improvements will also lead to increased comfort—a warmer, cozier home in the winter and a cooler home in the summer. Finally, and perhaps most important of all, many of these improvements lead to improved air quality and a healthier and safer home. To find a contractor or Energy Analyst there are a few places to look: check the resources section below for local programs, check with your local utility or your city, or do an online search for Home Energy Audit. What to look for. Before scheduling your Home Energy Checkup, be sure to ask the Energy Analyst if they will be doing a blower door test and infrared camera inspection (read more about these tests in Step 2). At a minimum, they should be doing a blower door test. If not, look for another contractor. Also, it’s always a good idea to check their references! Cost & Perks. The cost of Home Checkups can vary, but they are often subsidized through local programs. You may pay as little as $50-$150 for an Energy Checkup, but receive up to $300-$500 or more worth of services. Energy Checkups often include free energy efficiency products and installation, such as LEDs, smart power strips, and water saving shower heads. If you choose to do some of the larger upgrades recommended, often the cost of the Energy Checkup with be deducted from the work completed. During the Checkup, the Home Energy Analyst will examine both outdoor and indoor areas of your house. The analyst will use various tests and techniques including a blower door test or possibly an infrared camera inspection, to test and assess your home. 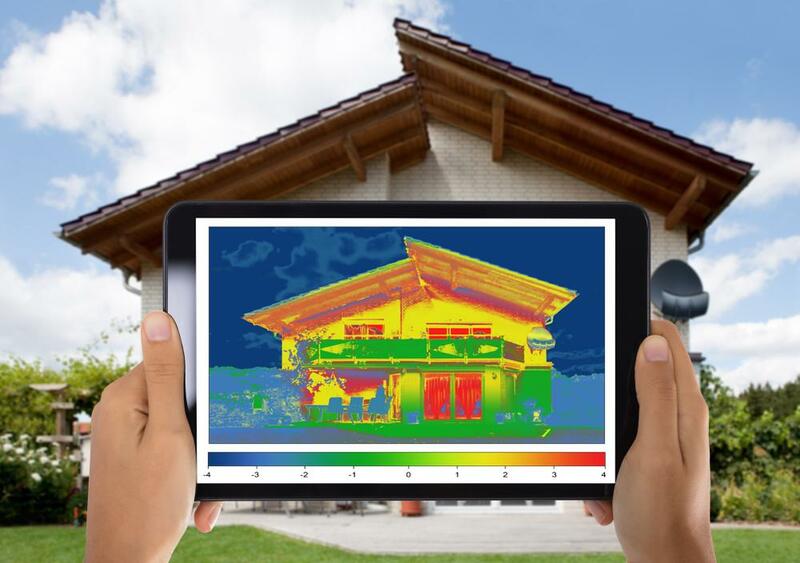 These tools allow the analyst to see in real time where there are areas with insufficient insulation, air leaks, or other problems that might result in extra energy use. Often, areas around fixtures, exterior walls, doors, and windows are the main source of energy waste. Typically, your home assessment will take about 2 hours to complete. Weatherize your home—identifying and plugging air leaks that let the warm air out in the winter and cool air out in the summer. This project is low cost and can create instant savings and a warmer, cozier home. Add insulation to the attic, wall and/or floor. You may have some insulation, but not enough for your climate. This is a bit higher cost project but can lead to significant savings and comfort. 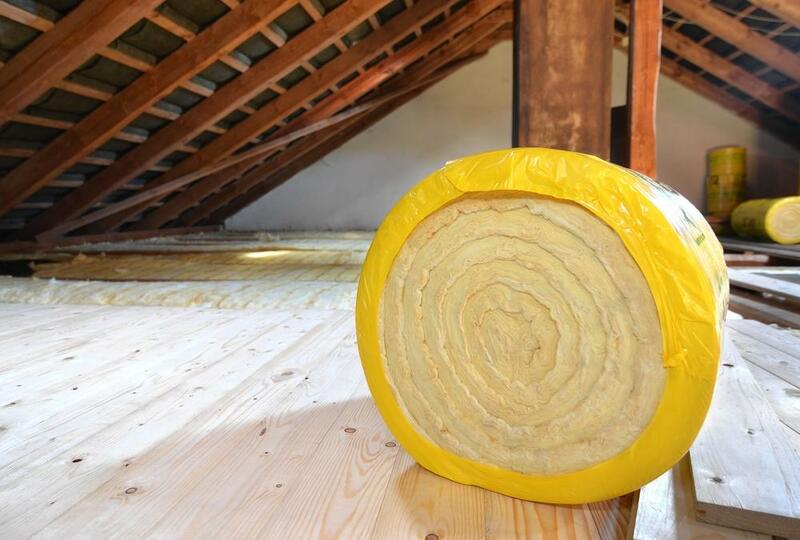 Attic insulation is often the best first step and is generally less expensive and easier than adding wall or floor insulation. Install a Smart Thermostat. Smart thermostats are a great way to save energy and money and have a cozy, comfortable home. Like weatherization, this is a relatively lower cost action that has instant savings. Replace old appliances. If you have old appliances, the Energy Advisor may recommend replacement. Many appliances, like refrigerators, have improved significantly in efficiency and upgrades can often pay for themselves through energy savings over time. Replace old water heaters and furnaces. Replacing older water heaters and furnaces can provide an opportunity for significant energy savings and increase in home comfort. The best timing for upgrades will depend on your climate and current equipment. The recommendations marked with ** may be performed as part of your checkup. Ask questions. Make sure to ask questions about the recommendations including what is involved in the work, how long it will take, and the cost. The Energy Analyst can help you compare different project options by estimated energy savings and cost and decide which projects are right for you to move forward with on your budget. Congrats! You now have a custom plan of action to improve your home. The next step is to schedule the recommended energy efficiency upgrade projects. Check out the action pages on each of the recommended projects to learn more about how to get started.